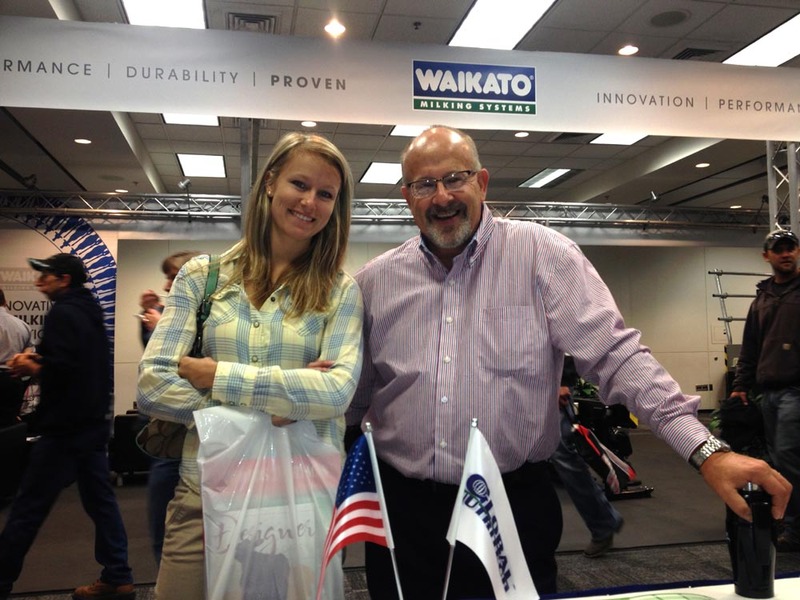 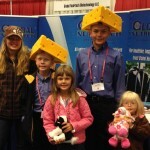 We had a great time in Madison this month at the World Dairy Expo. 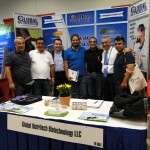 Thank you to everyone that stopped by. 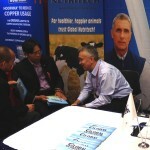 See you at Eurotier in Hannover next month! 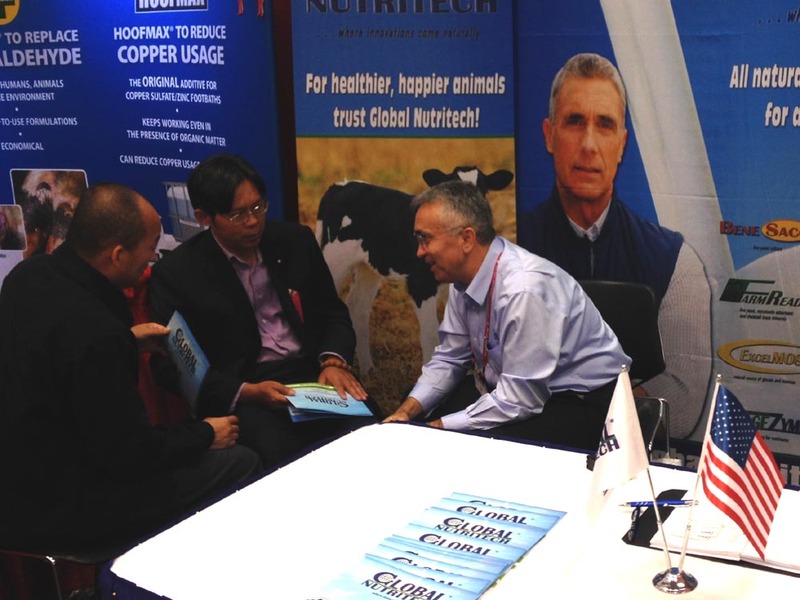 Come join us at Eurotier, the world’s leading trade fair for animal production, in Hannover, Germany. 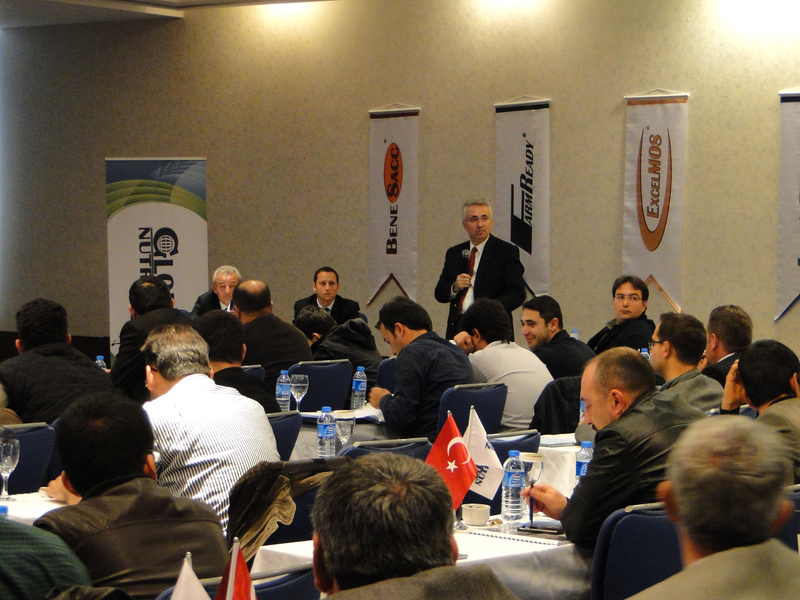 The dates are November 15-18, 2016. 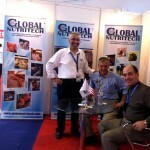 Please visit our booth, E16, in building 20. 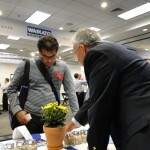 We look forward to seeing all of you there! 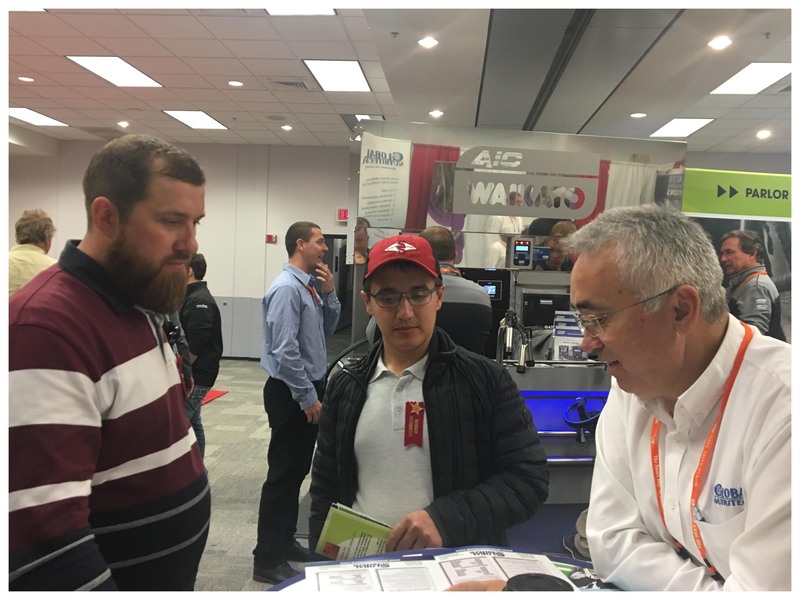 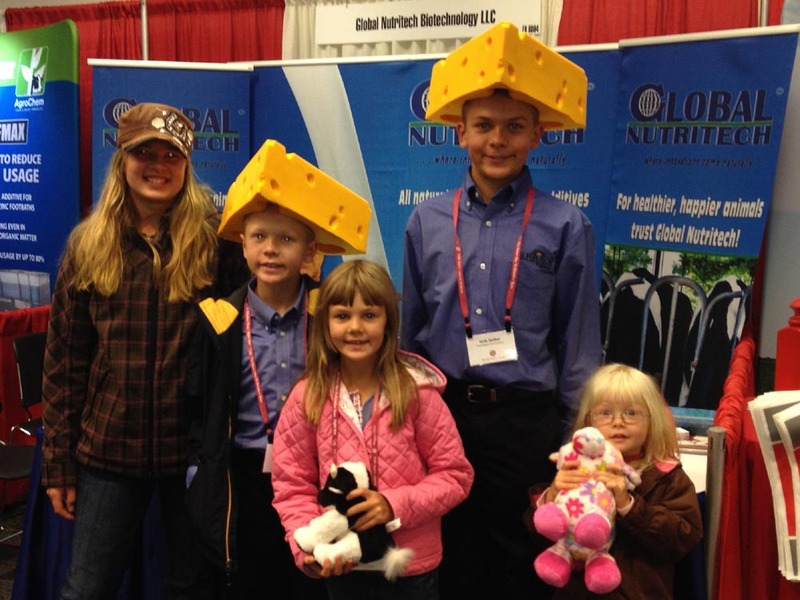 Thank you for stopping by our booth last week at the Wisconsin World Dairy Expo! 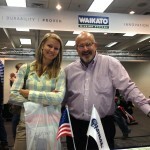 It was great meeting you. 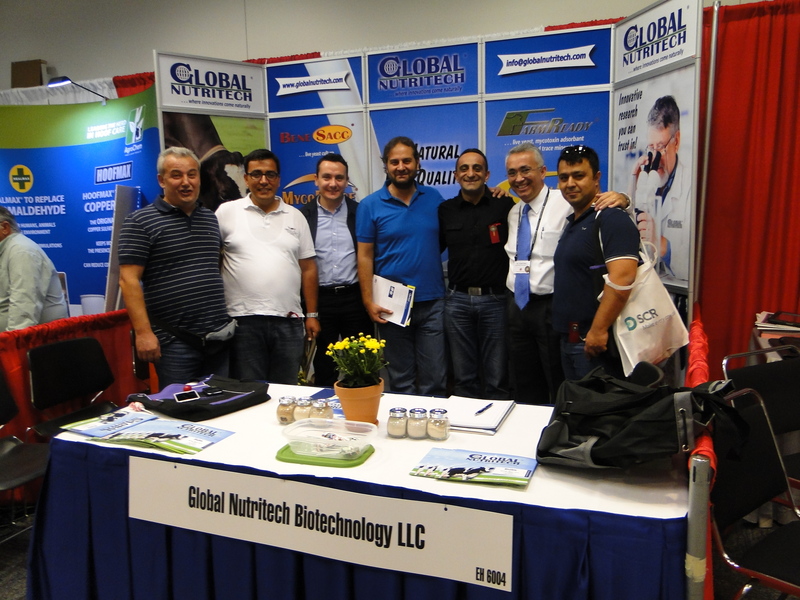 We enjoyed talking with all of you! 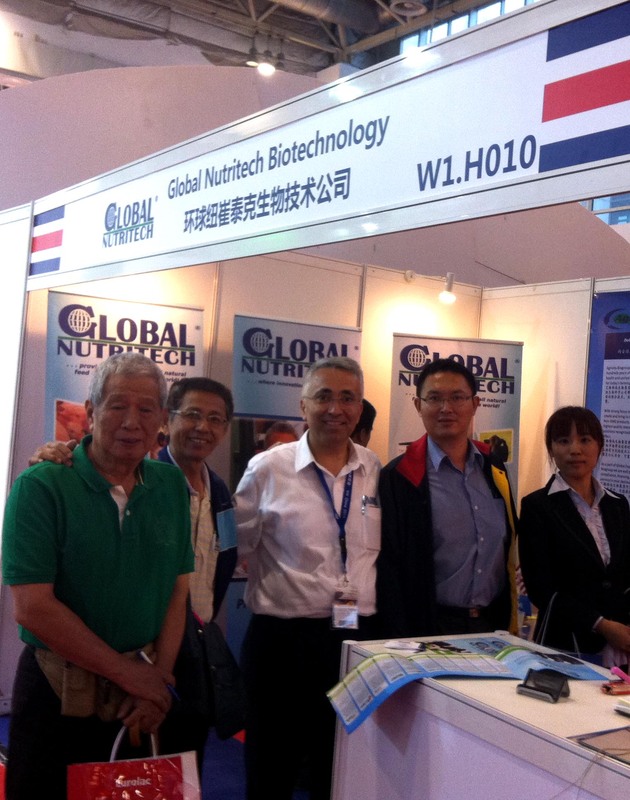 We look forward to seeing you again soon. 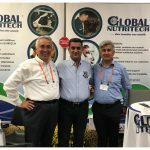 Please contact us if we can help with anything! 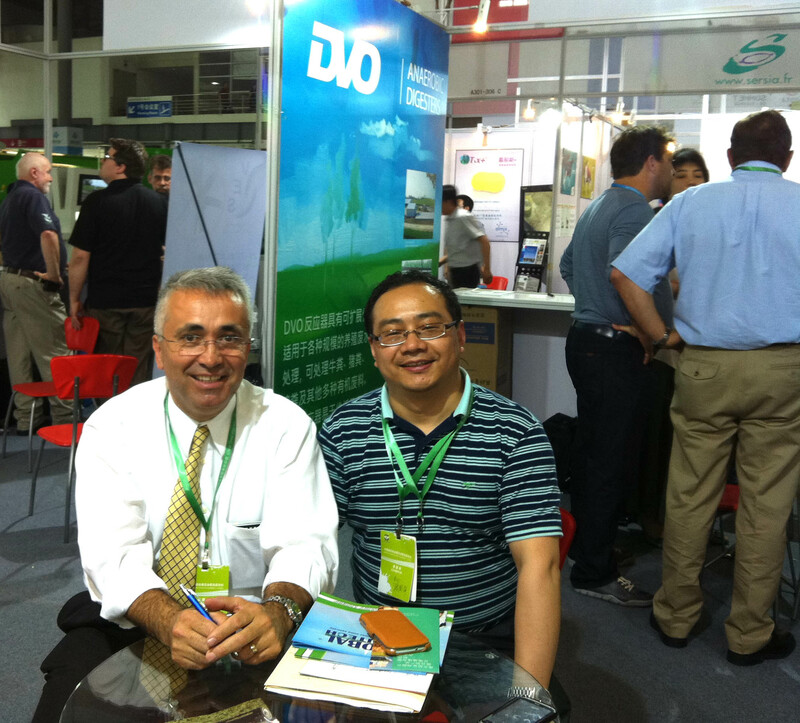 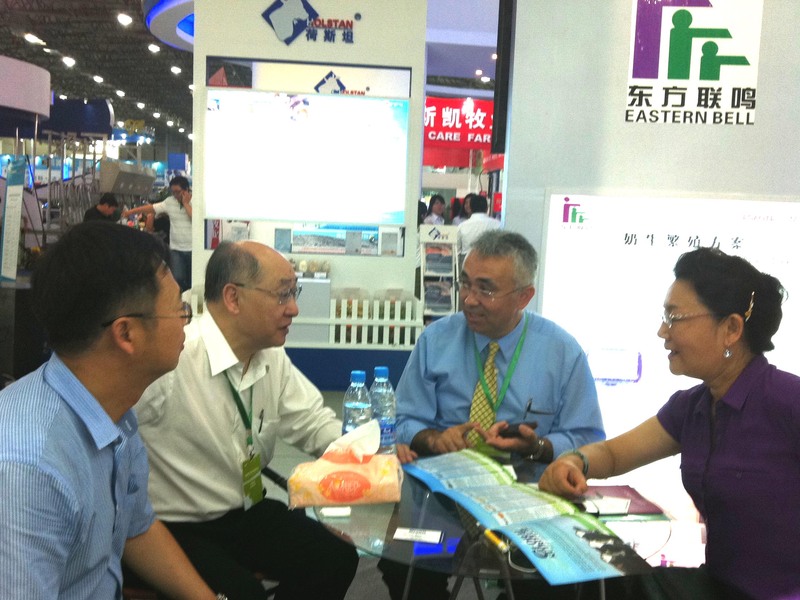 It was a great pleasure meeting everyone this week at the VIV CHINA 2014 expo in Beijing. 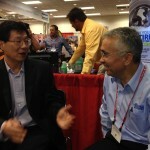 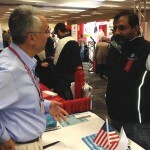 We enjoyed meeting both old and new friends from around the globe. 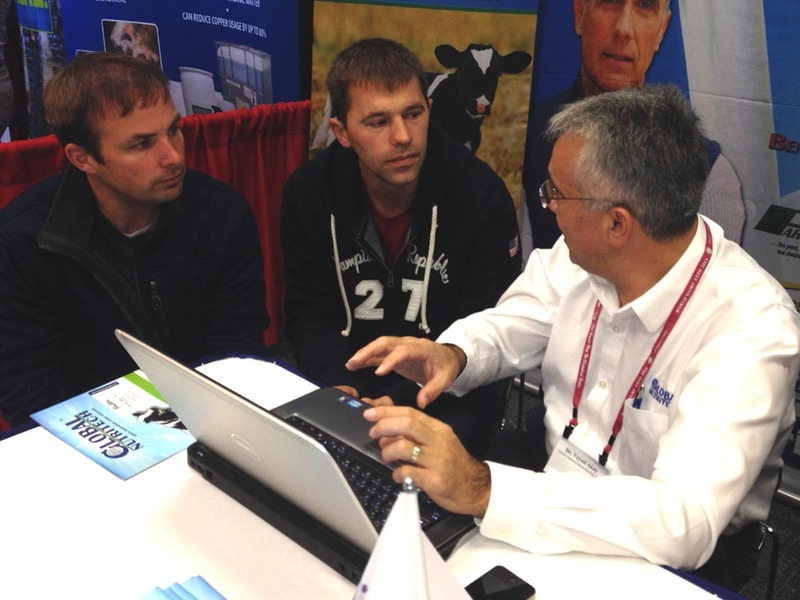 We hope to see you at the WORLD DAIRY EXPO in Madison, Wisconsin next week. 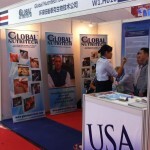 Please be sure to visit us there! 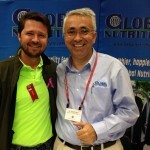 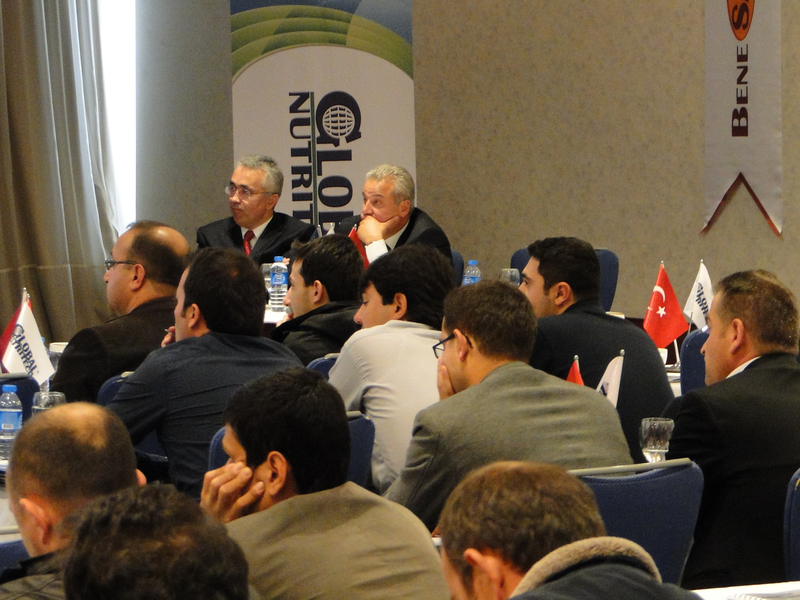 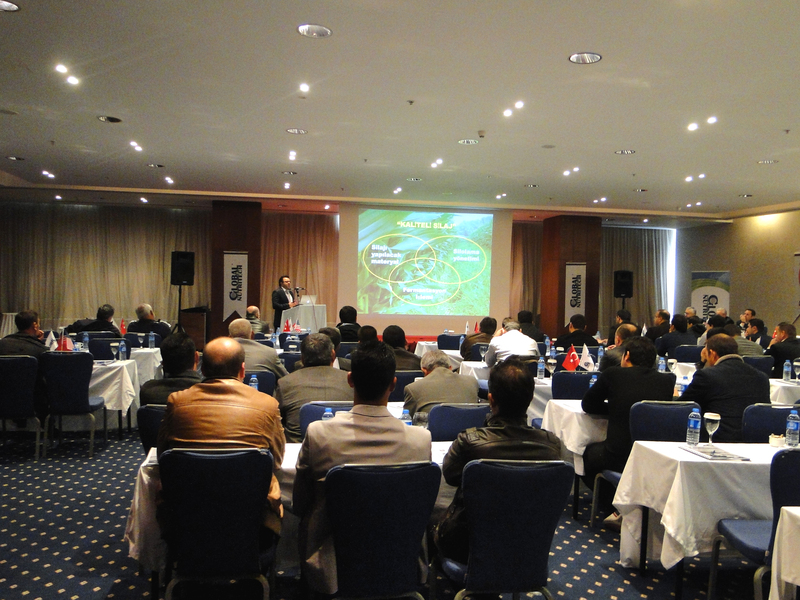 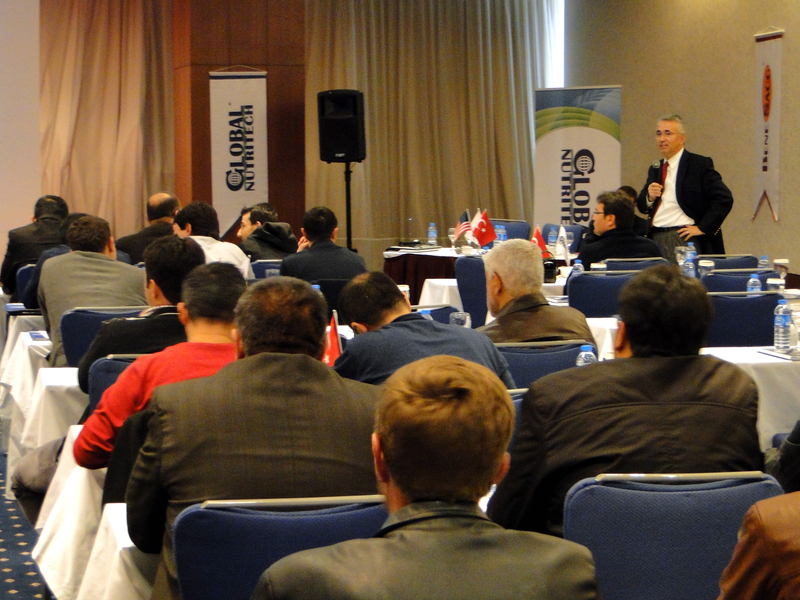 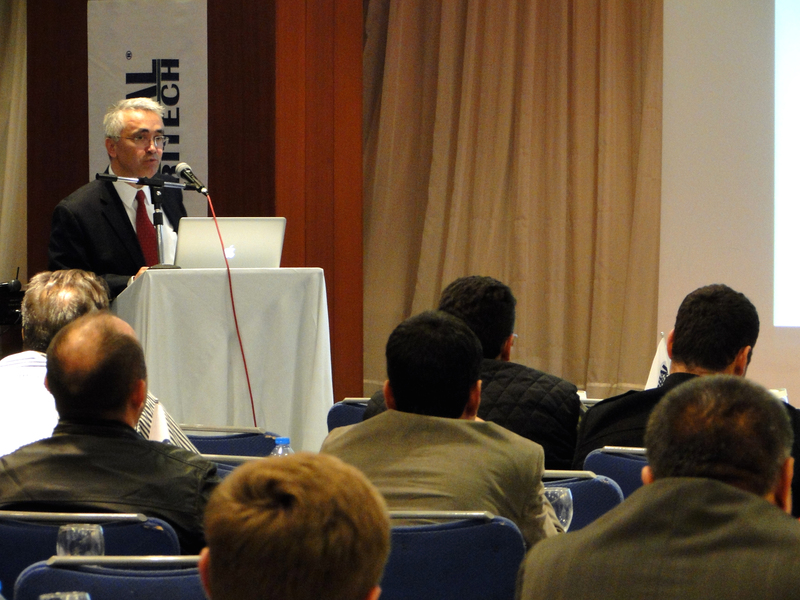 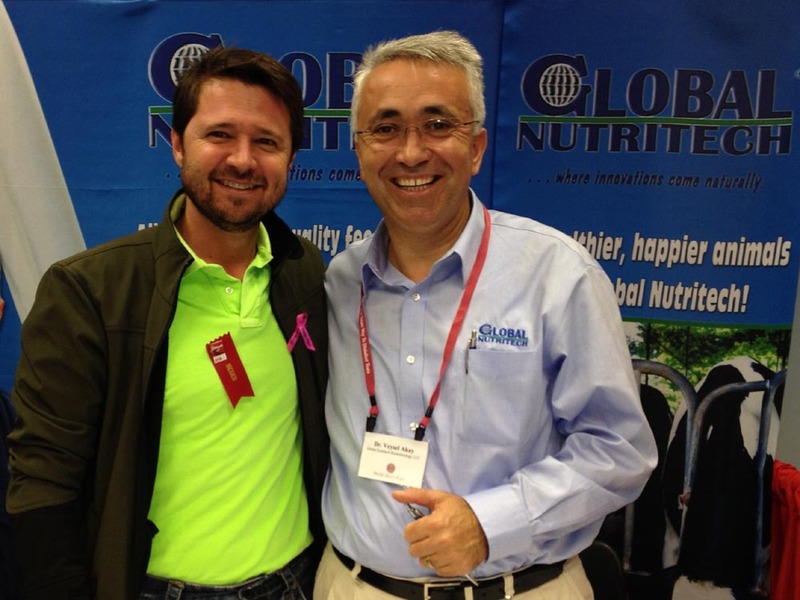 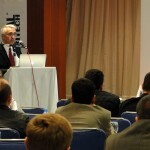 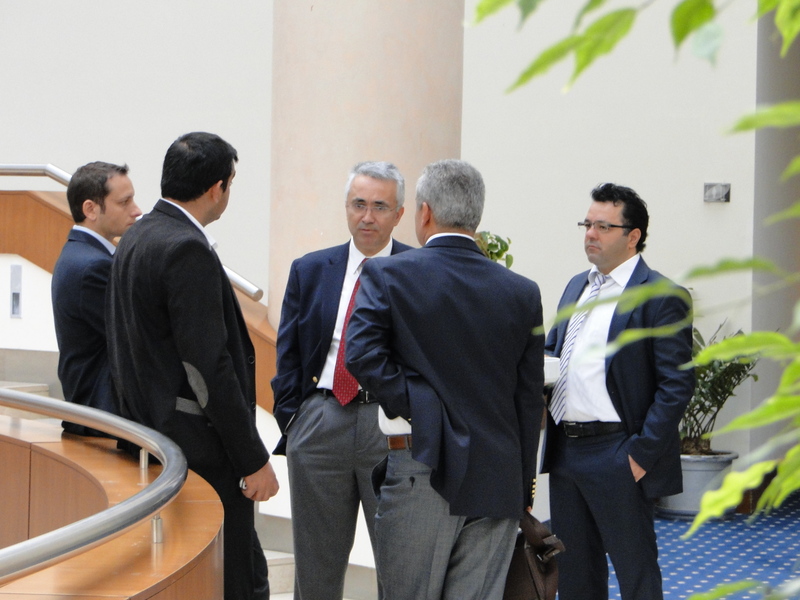 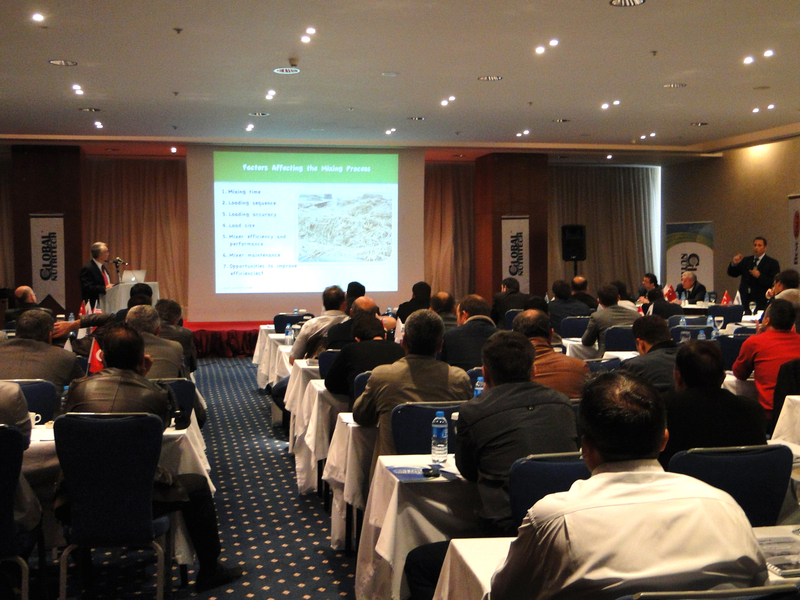 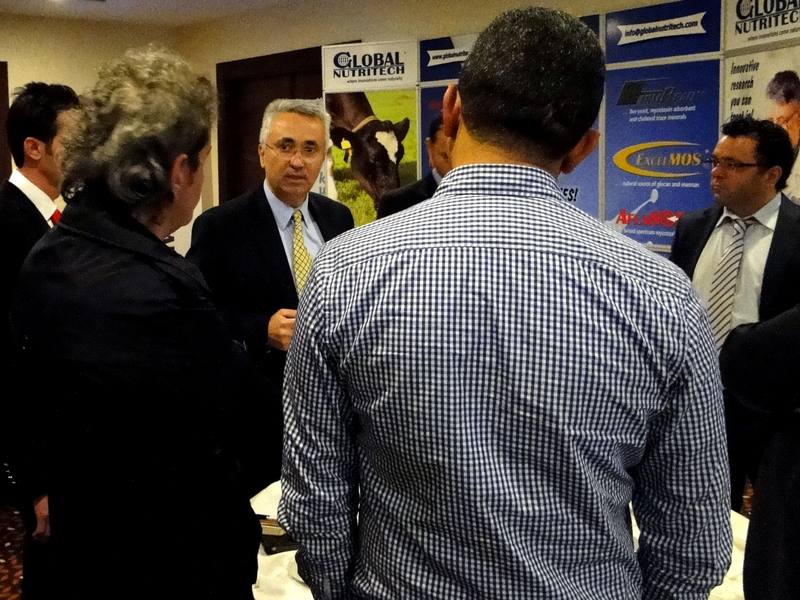 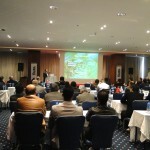 The 2014 Global Nutritech Symposium, which took place in Turkey from April 8 through the 11th, was an incredible success. 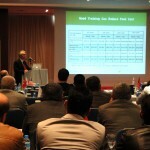 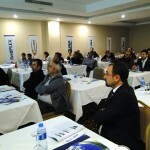 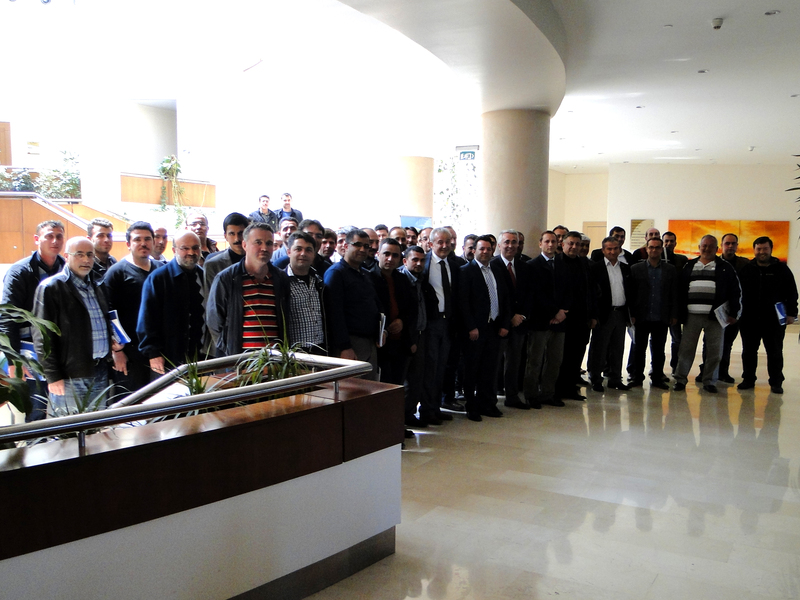 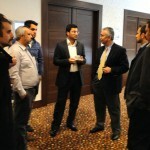 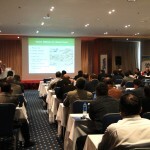 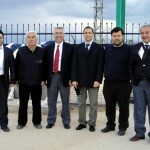 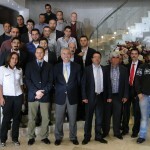 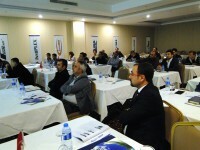 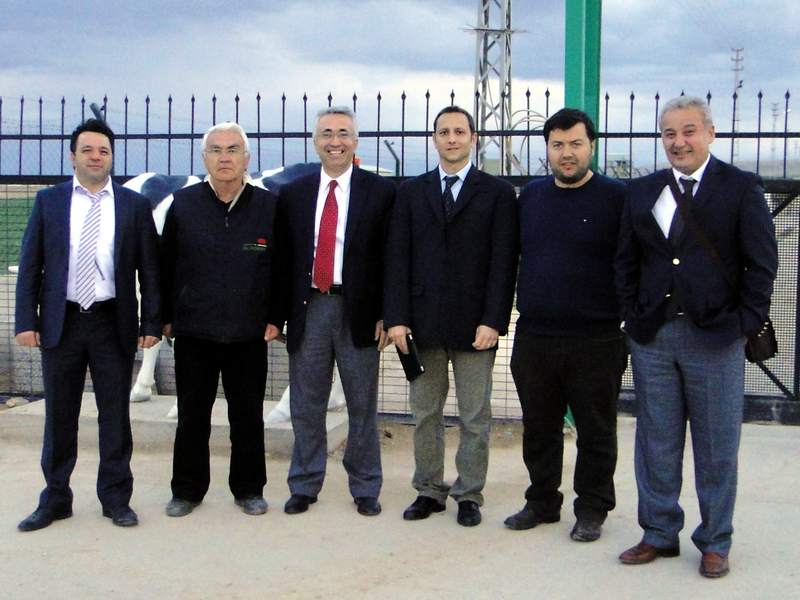 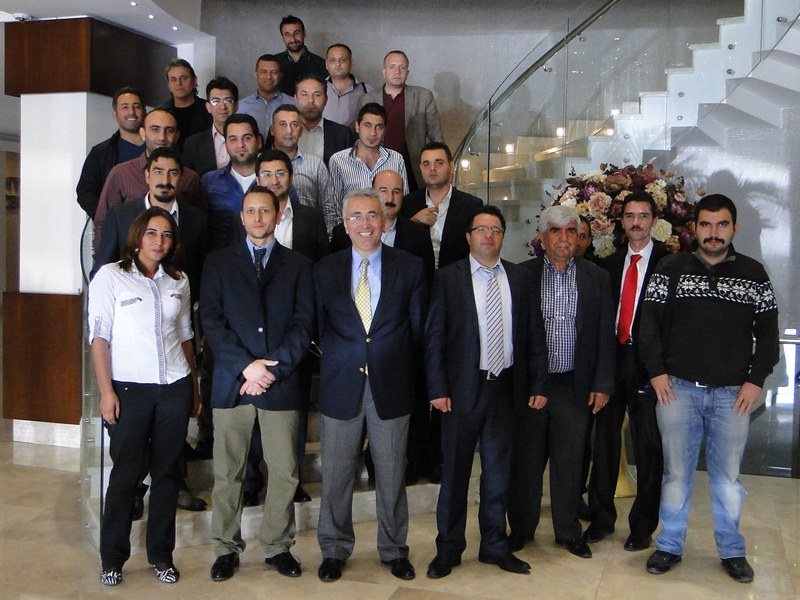 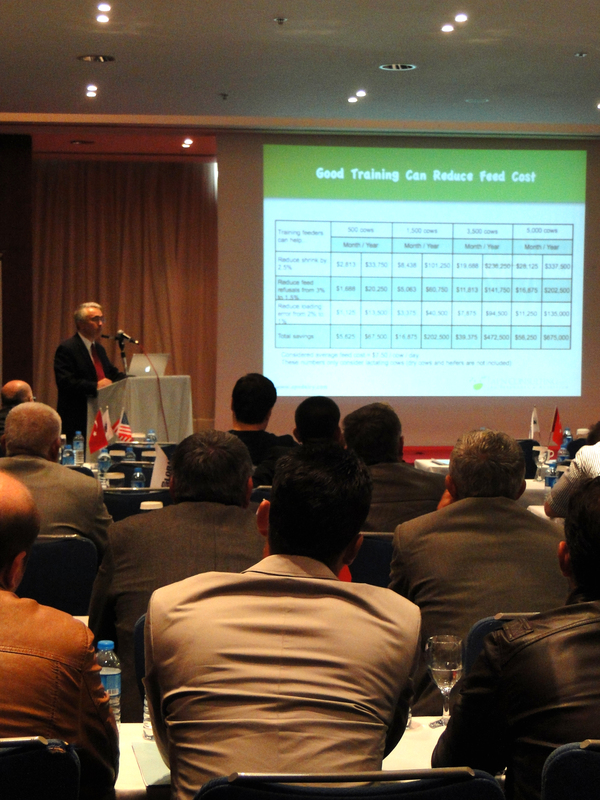 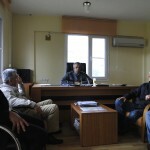 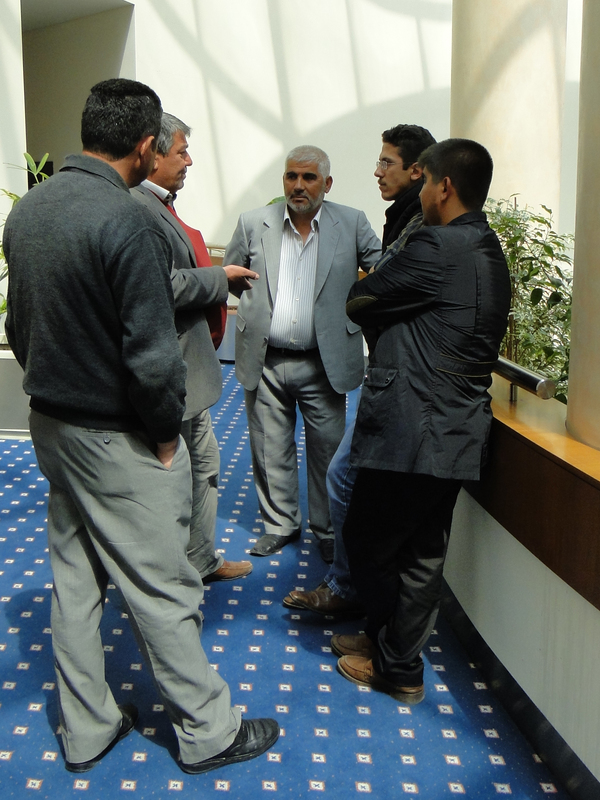 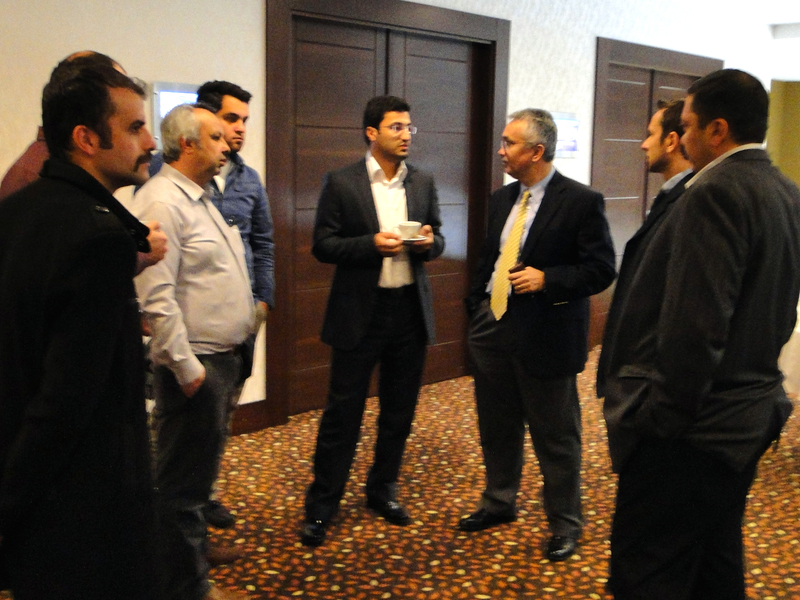 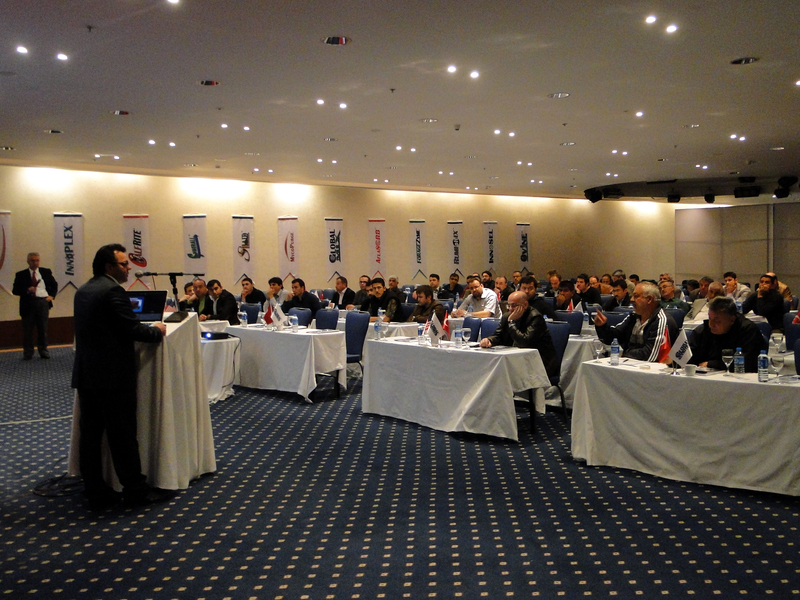 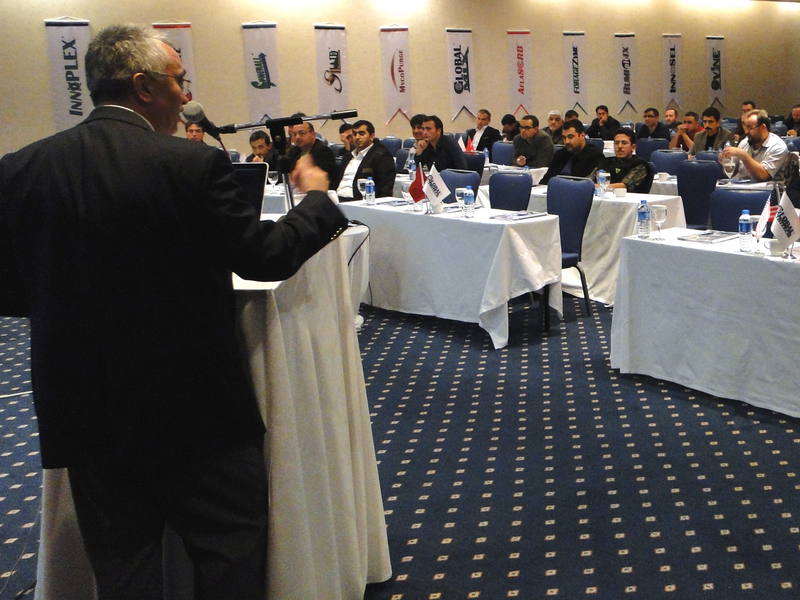 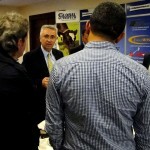 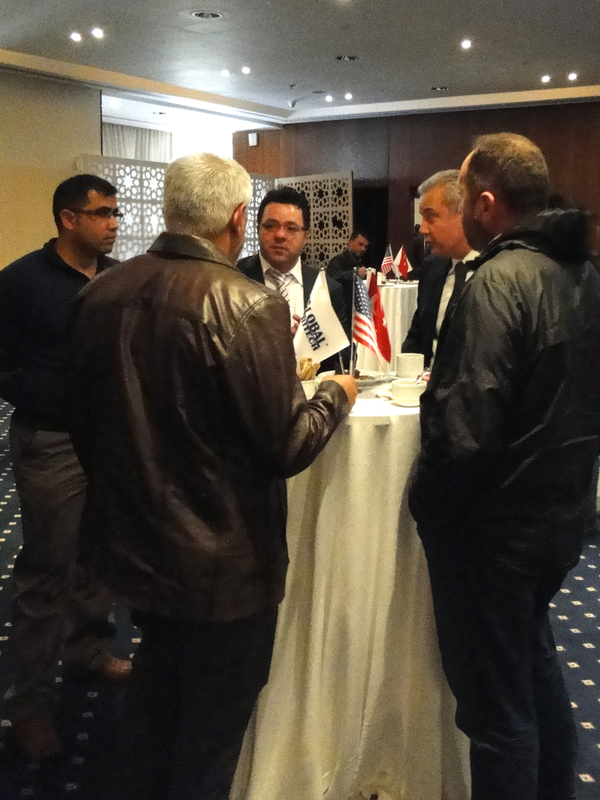 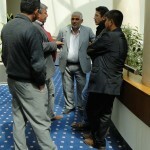 Seminars were held in several cities, including Gaziantep, Konya and Nigde. 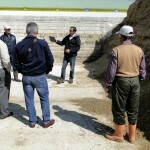 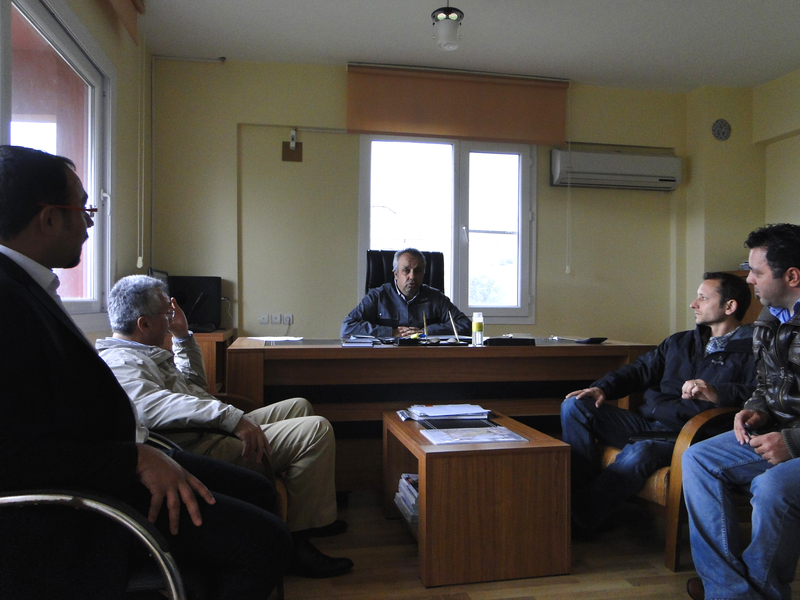 This year’s tour also included several in depth farm visits throughout Turkey, including Kahramanmaras, Bursa and Balikesir. 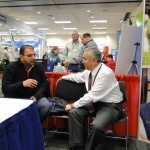 It was an engaging experience and an interactive forum that allowed the attendees to discuss and consider some of the biggest challenges in agriculture today. 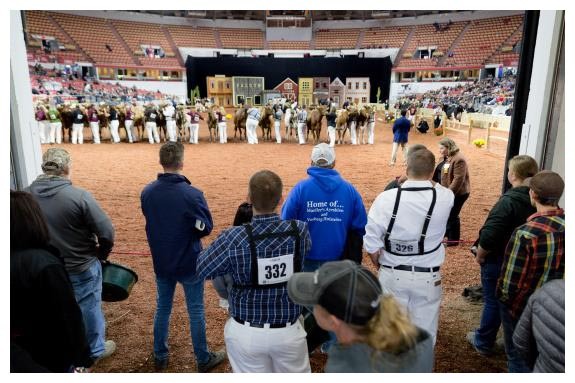 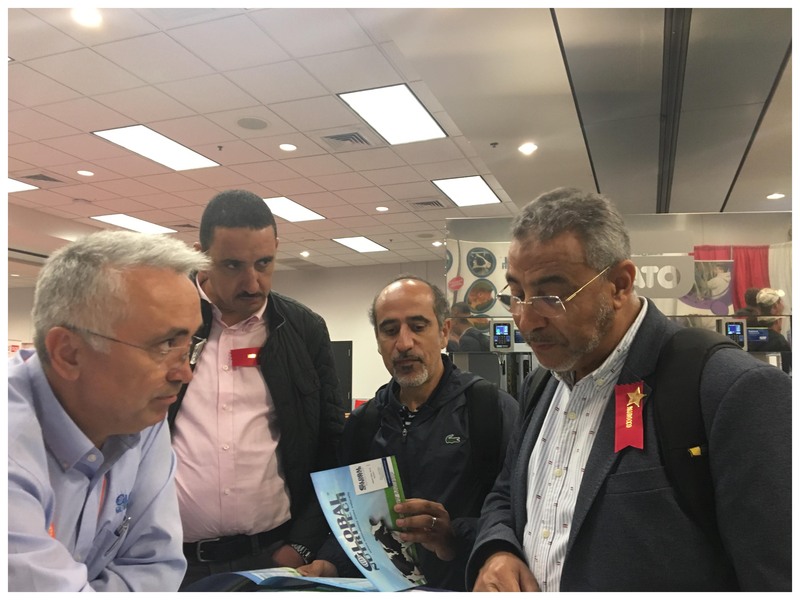 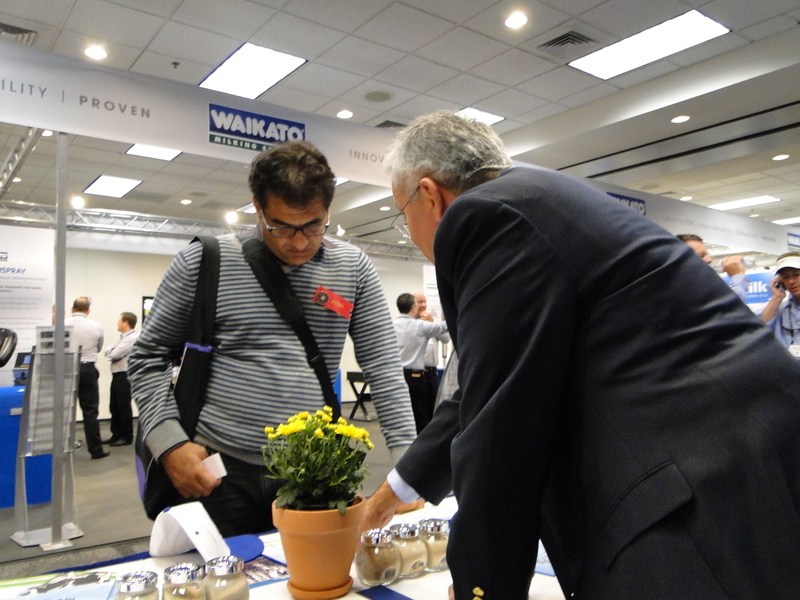 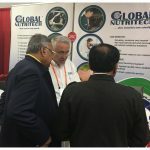 This year’s symposium also offered a unique opportunity for attendees to network and exchange ideas with feed industry experts, including nutritionists, veterinarians, researchers, manufacturers, marketers, entrepreneurs, and university personnel, all under one roof. 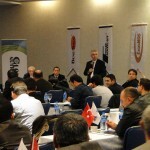 Speakers at this year’s event included Felix Soriano, President and founder of APN Consulting, headquartered in the U.S. With more than 10 years of experience working with dairy producers, Mr. Soriano is dedicated to improving dairy performance and profitability by developing and implementing training and labor management support programs as well as carrying out on farm feed management diagnosis and diet formulation. 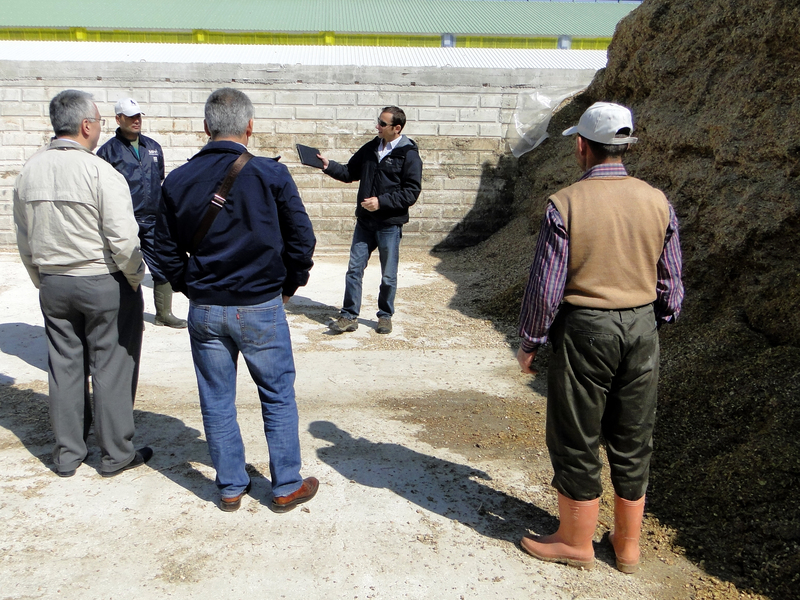 At this year’s seminar, Mr. Soriano’s presentation, FEEDING MANAGEMENT PRACTICES TO REDUCE FEED COST AND LOSSES, AND IMPROVE HERD PERFORMANCE, was well received by all those attending. 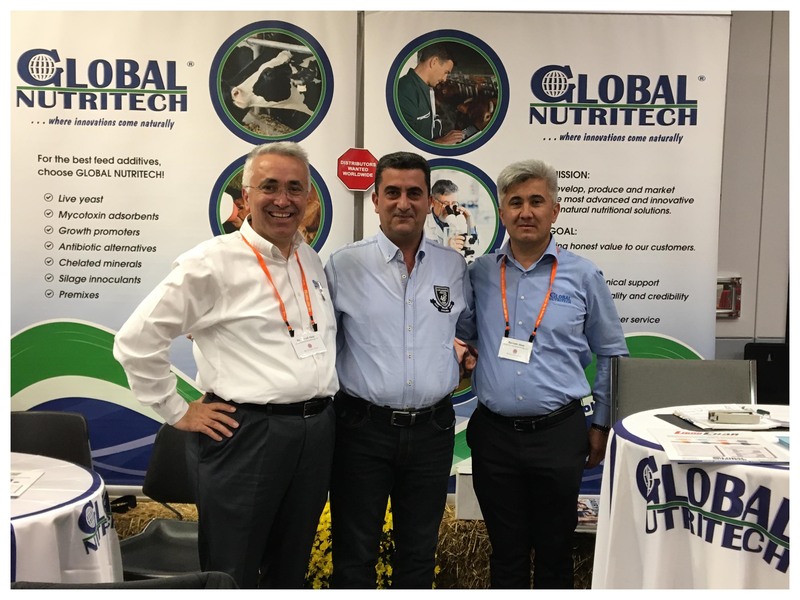 Also speaking this year was Dr. Levent Ozduven, associate professor in the Department of Animal Sciences at Namik Kemal University in Tekirdag, Turkey. 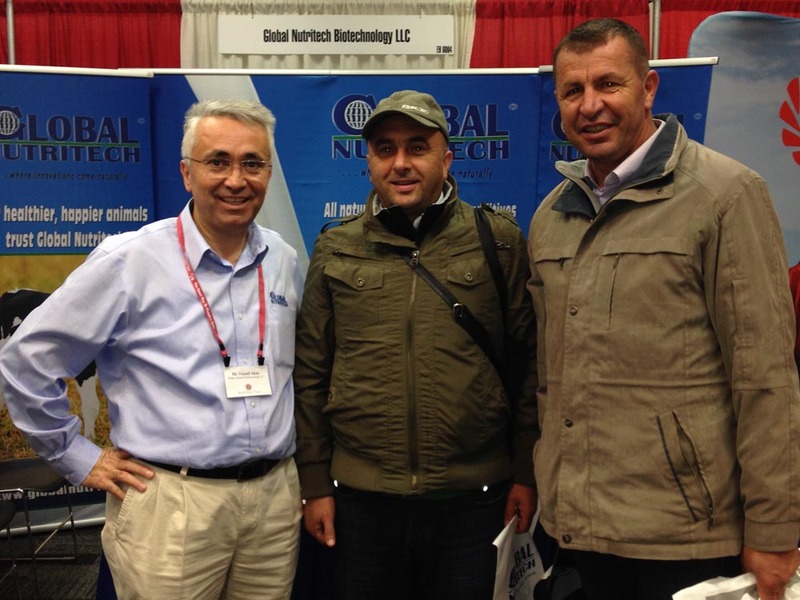 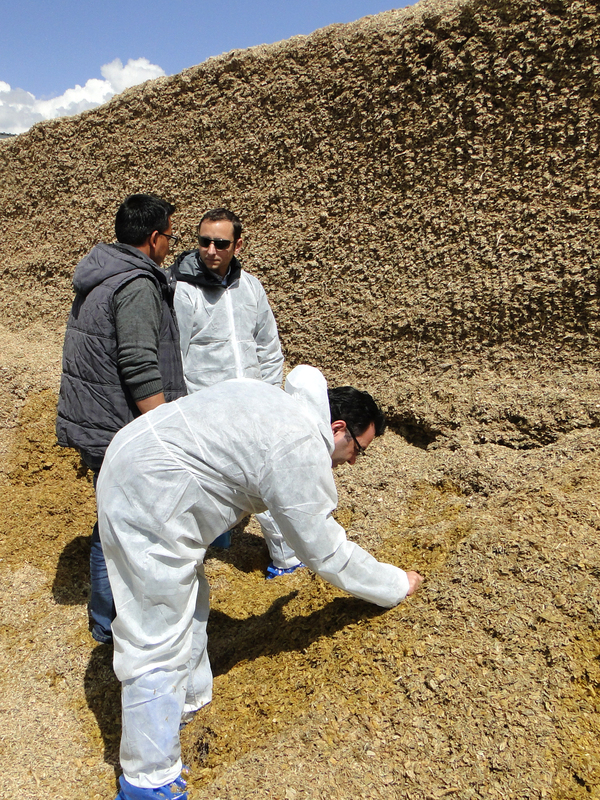 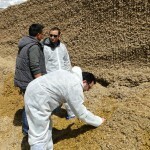 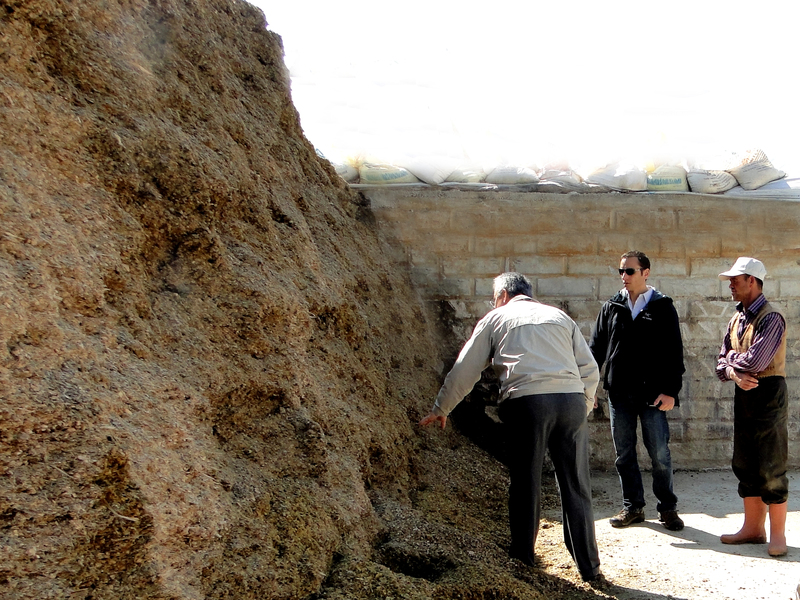 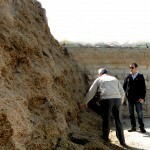 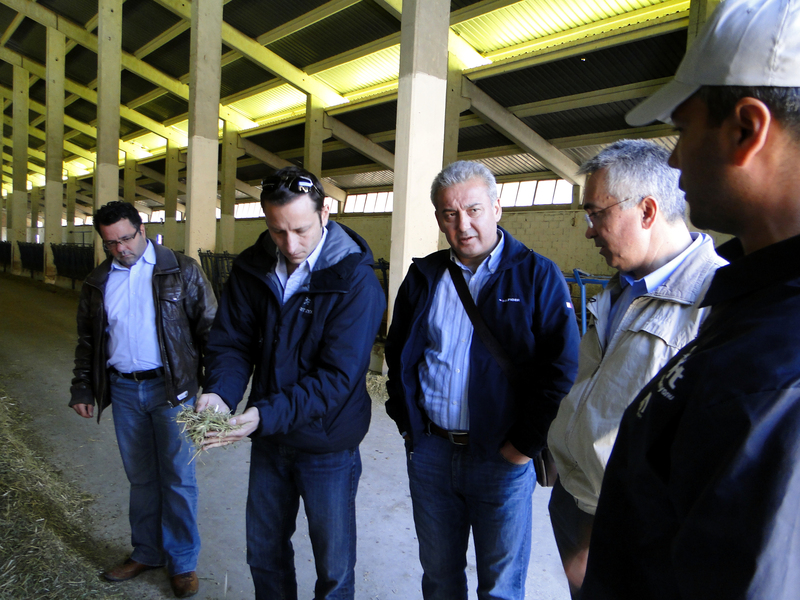 Dr. Ozduven specializes in silage fermentation and ruminant nutrition. 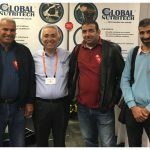 Dr. Ozduven’s presentation, SILAGE PRODUCTION, USAGE, AND FACTORS THAT EFFECT NUTRIENTS AND NUTRITIONAL LEVELS OF SILAGE, was also well received. 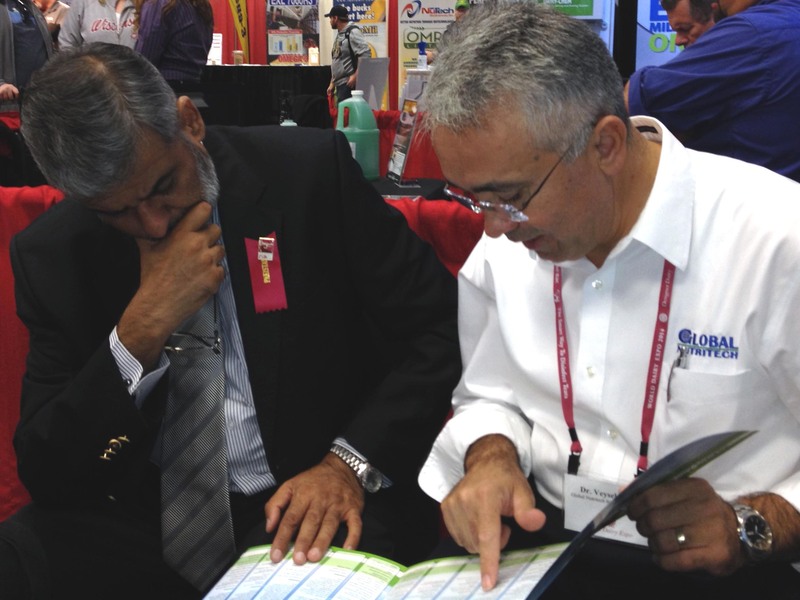 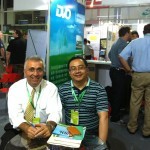 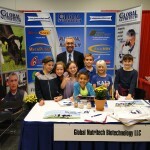 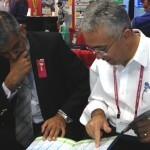 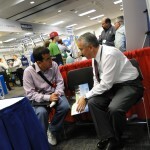 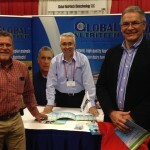 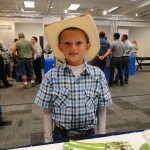 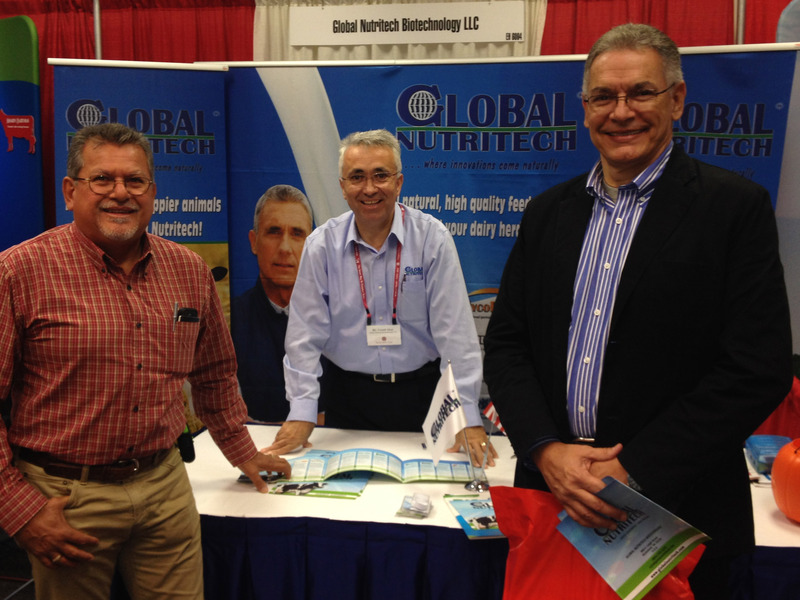 Many thanks to all those that visited our booth at the World Dairy Expo last month. 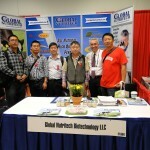 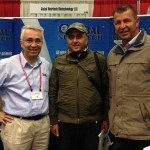 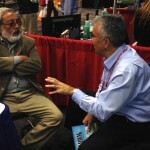 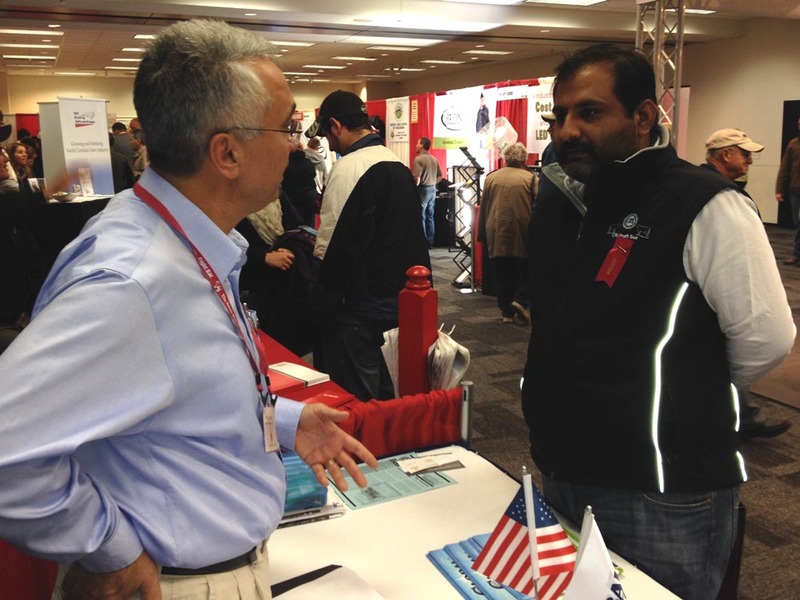 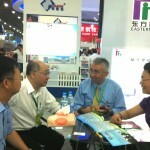 We enjoyed meeting so many people from around the globe. 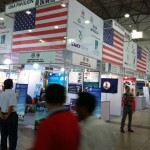 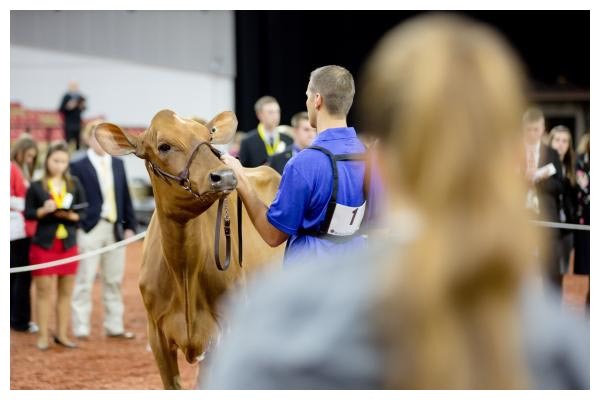 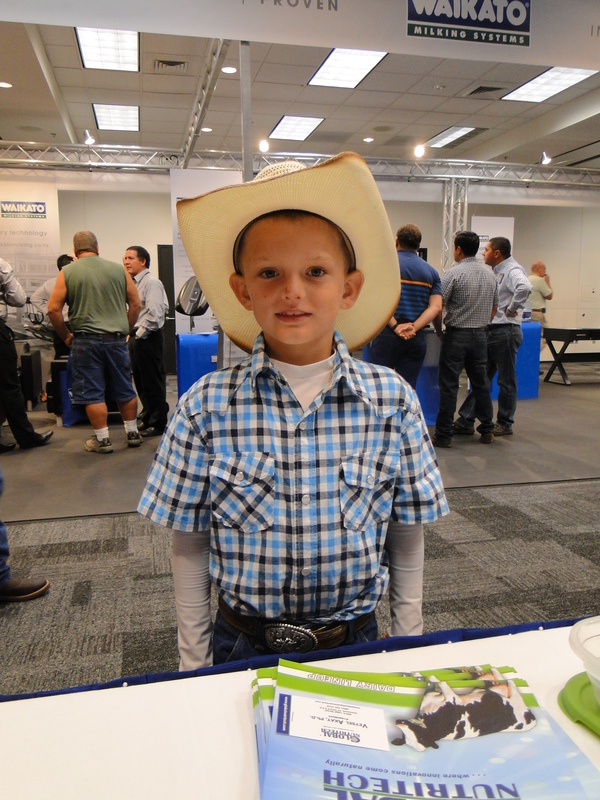 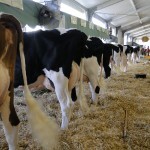 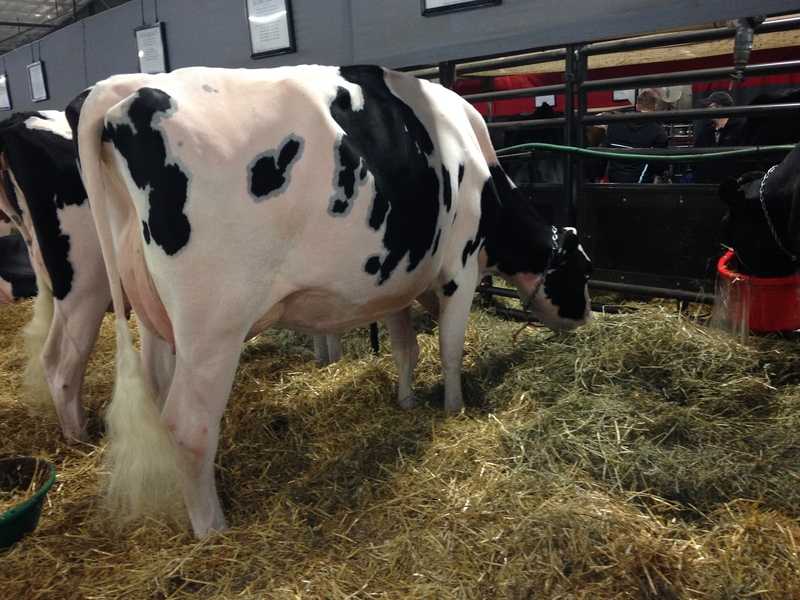 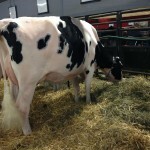 More than 70,000 people attended the Expo this year from over a 100 countries, along with 2385 cows! 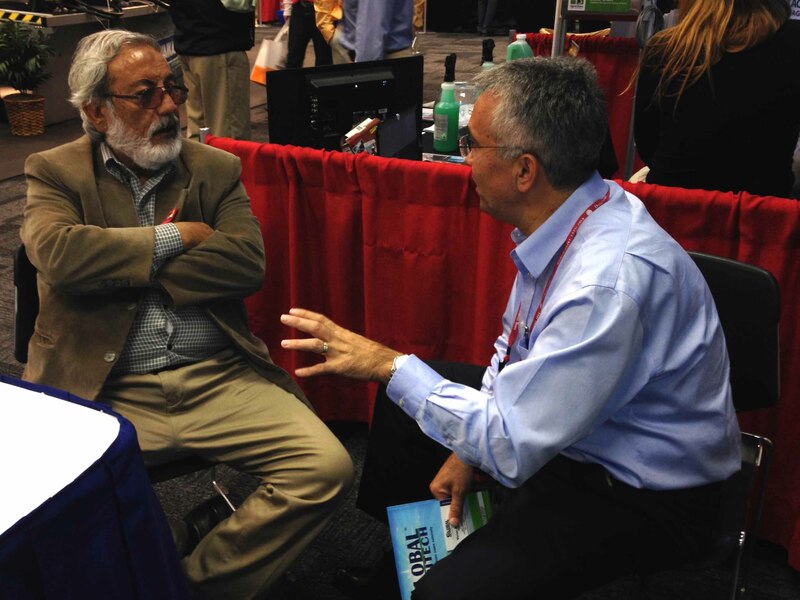 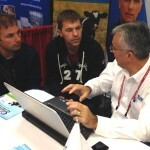 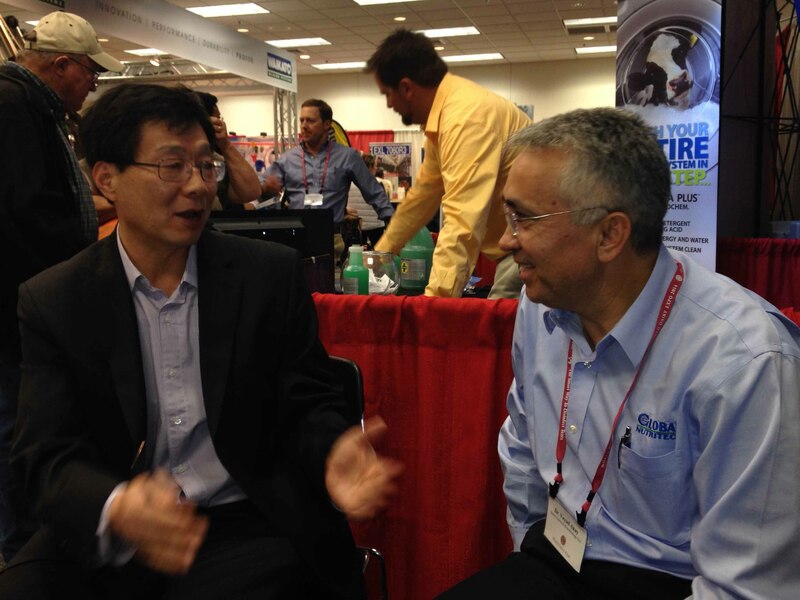 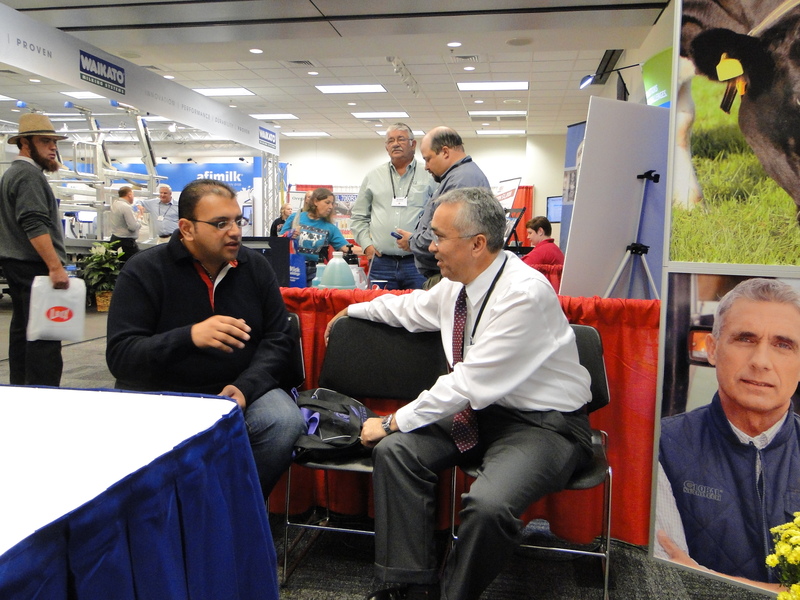 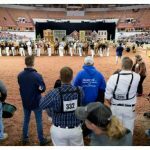 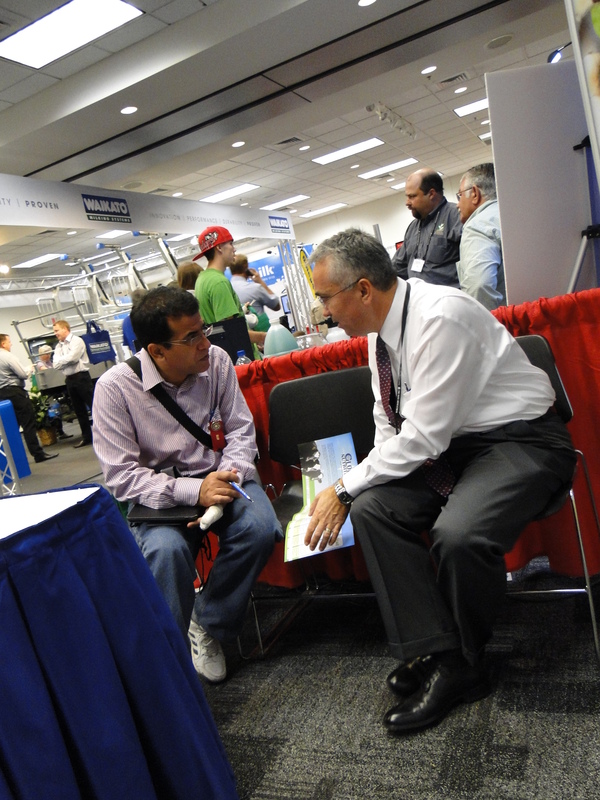 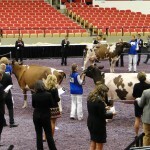 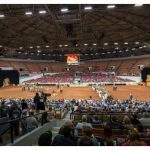 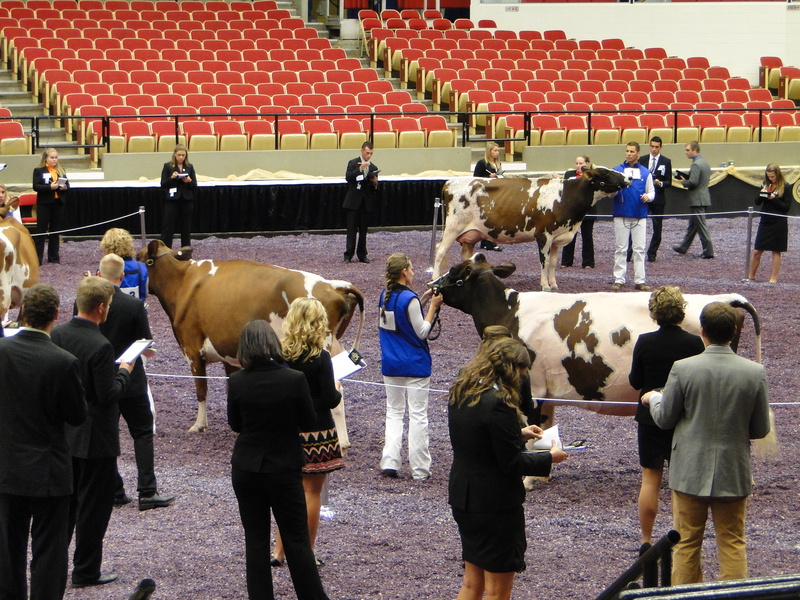 Join us again next year, September 30 – October 4, at the World Dairy Expo in Madison, Wisconsin! 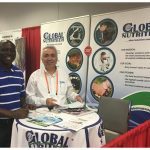 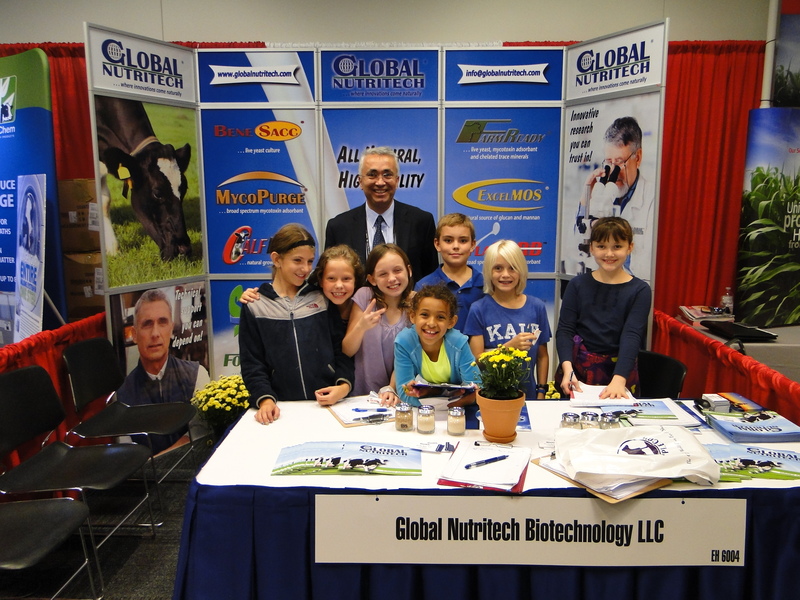 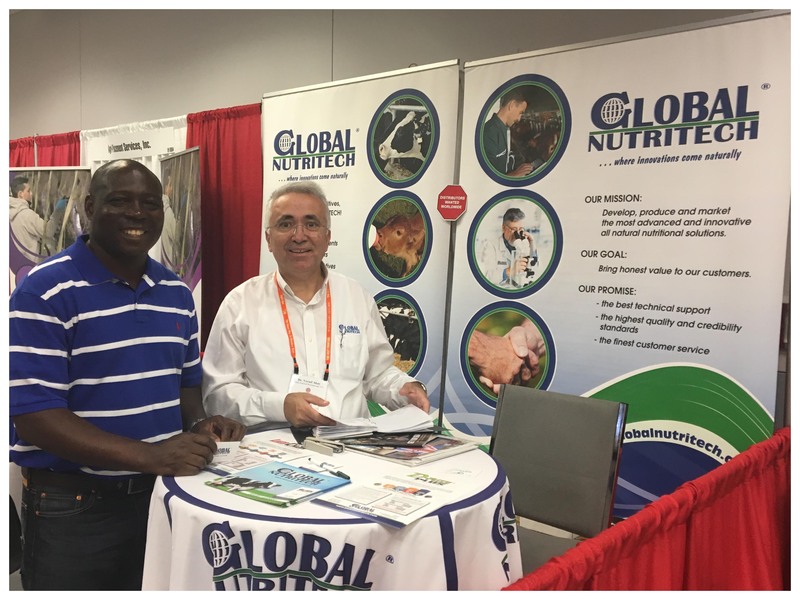 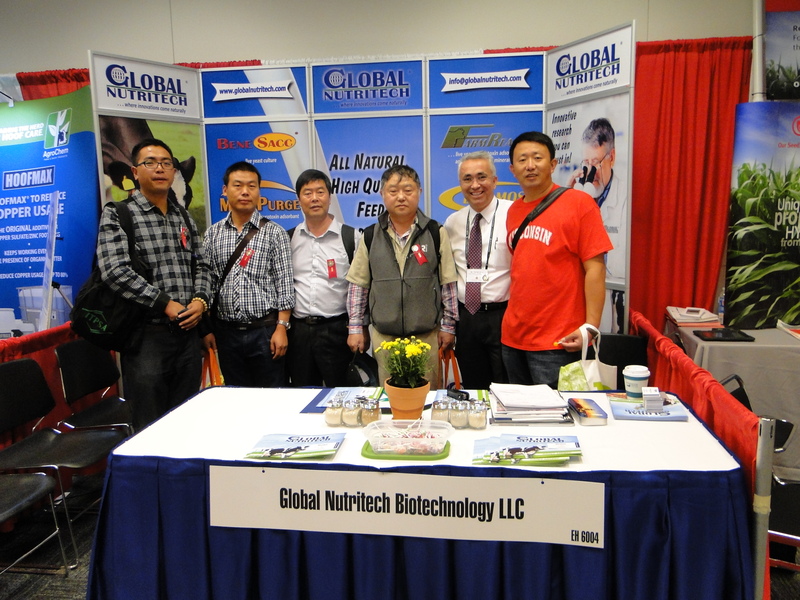 Join GLOBAL NUTRITECH at the WORLD DAIRY EXPO being held in the Alliant Energy Center in Madison, Wisconsin from October 1 – 5, 2013. 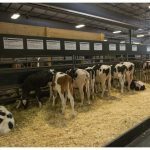 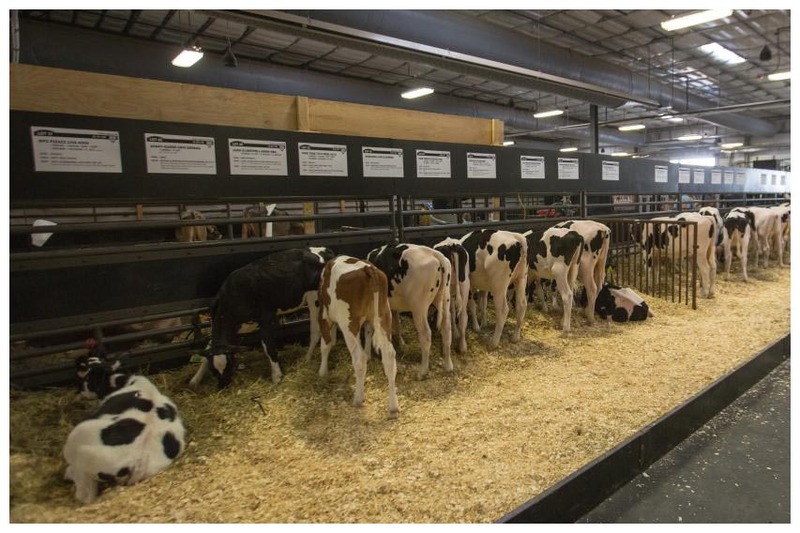 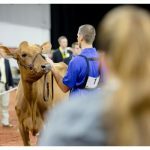 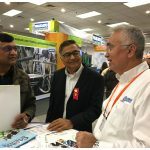 The World Dairy Expo is the international dairy meeting place, a five day event showcasing the finest in dairy genetics and the newest technologies available to the dairy industry. 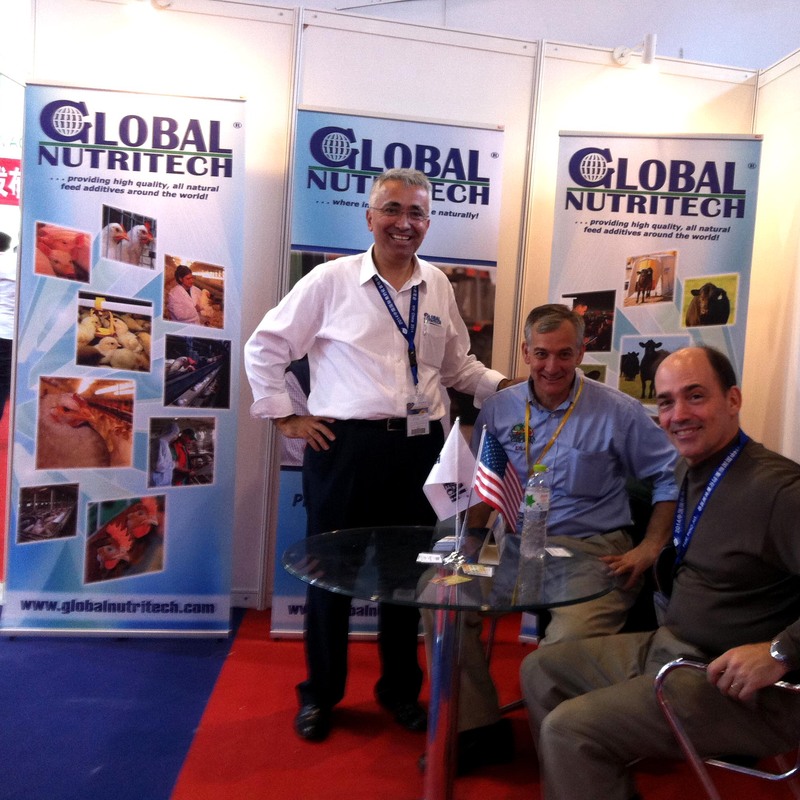 Come visit us at our booth, #6004, in the Exhibition Hall! 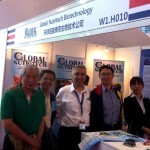 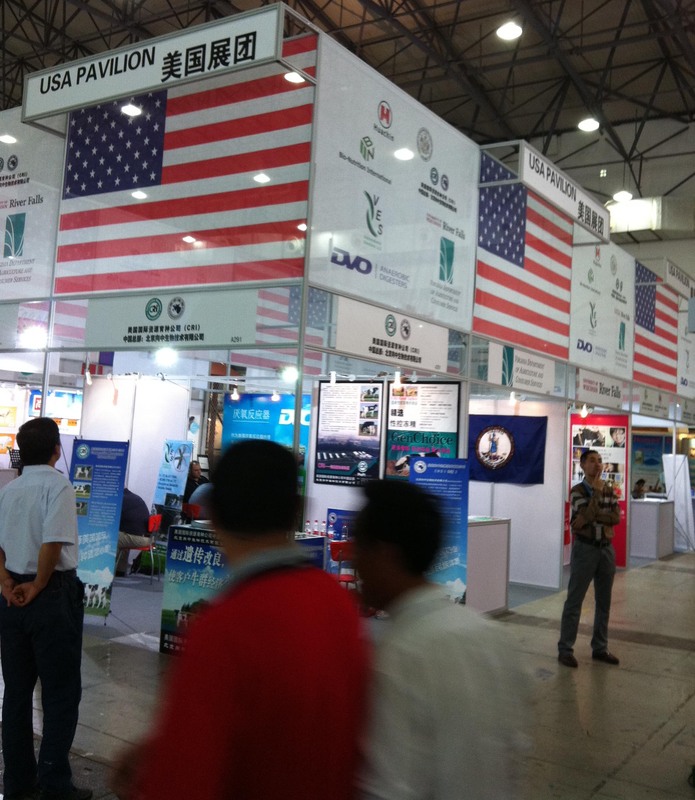 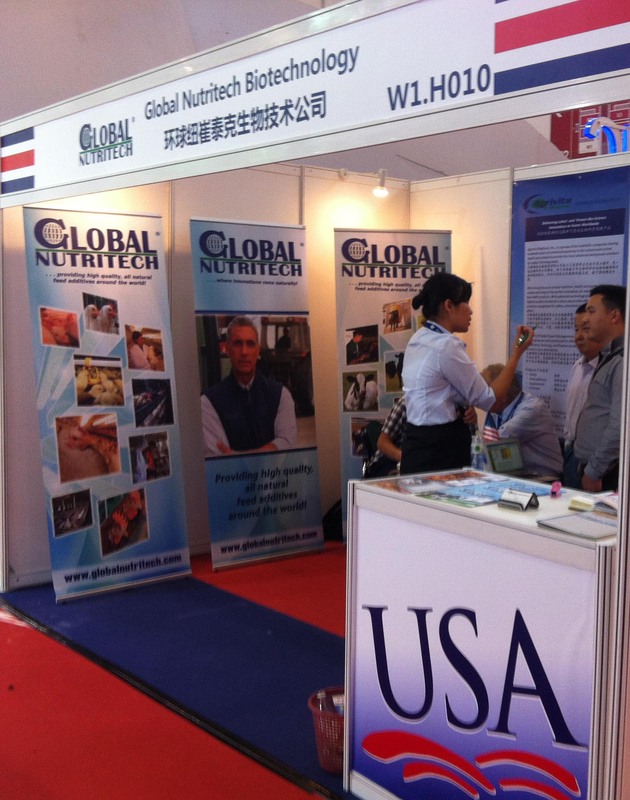 Global Nutritech attended the 11th World Dairy Expo & Summit in Nanchang, China earlier this month, taking part in the U.S. Pavilion alongside the Virgina and Wisconsin Departments of Agriculture. 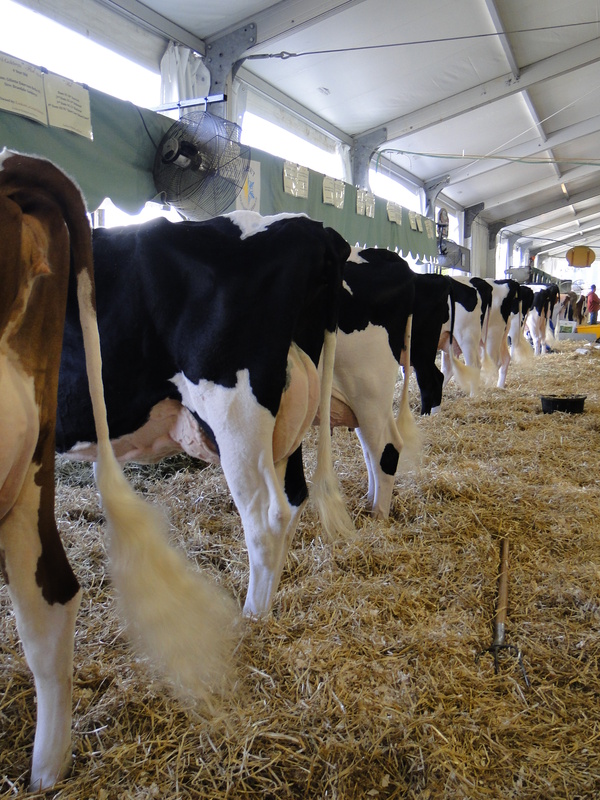 Thousands of professionals in dairy production and cow breeding enterprises from over 20 countries attended this premier annual event of the China dairy industry. 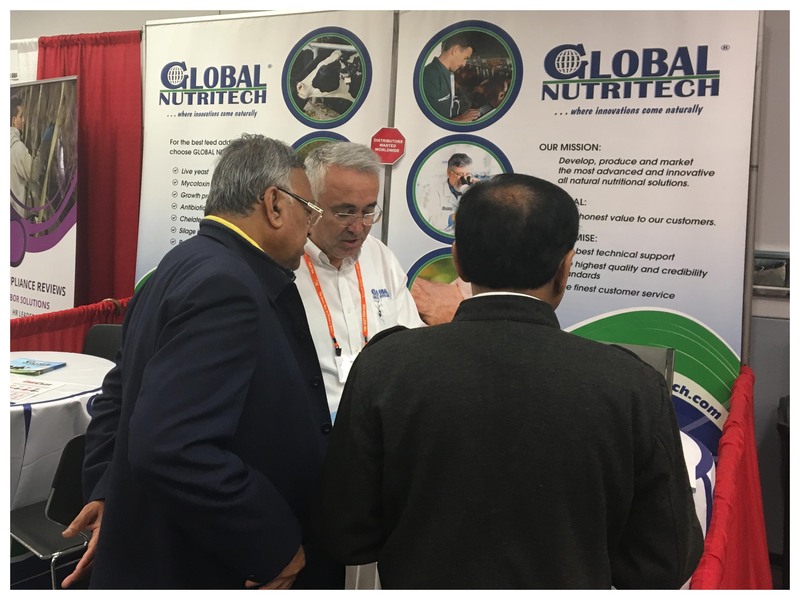 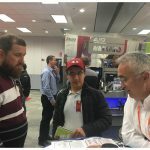 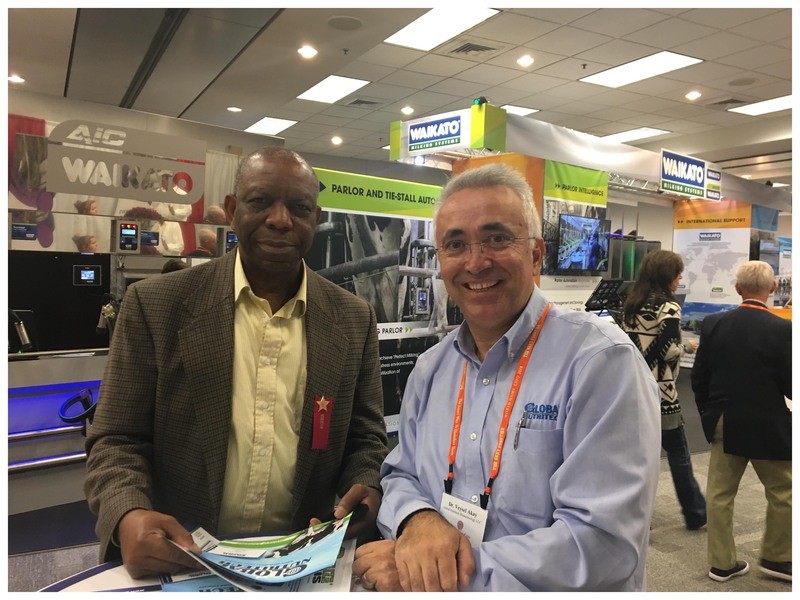 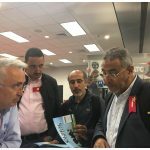 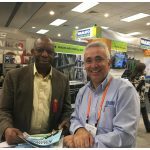 We enjoyed meeting so many people in the industry from around the world, and look forward to attending the Expo next year.